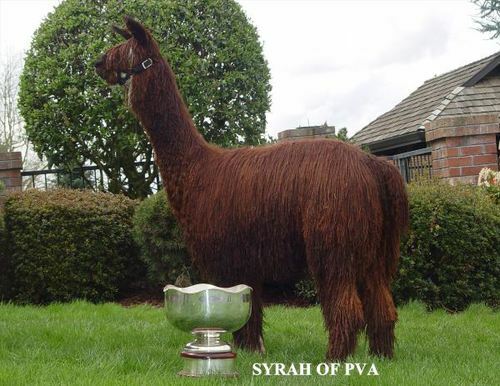 Her dam Syrah of PVA, IOA Supreme CHAMPION & 2006 AOBA National COLOR CHAMPION and her sire is Koyoto of PVA, IAO COLOR CHAMPION. 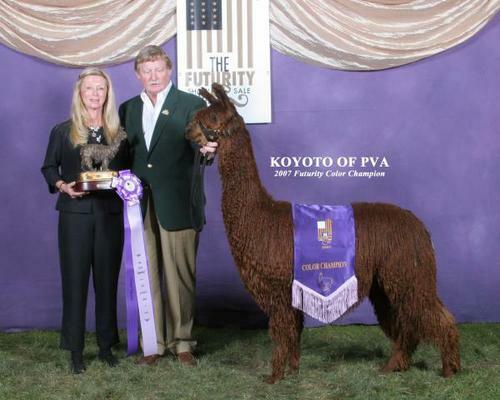 Koyoto has also produced another 4th Generation Reserve COLOR CHAMPION, Luminoso. 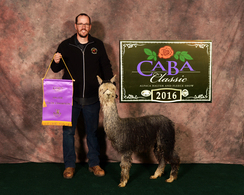 Both parents are 3rd Generation COLOR CHAMPIONS. Shiraz's half sister Chablis of PVA, who came home with SUPREME CHAMPION from the 2010 International Alpaca Odyssey. 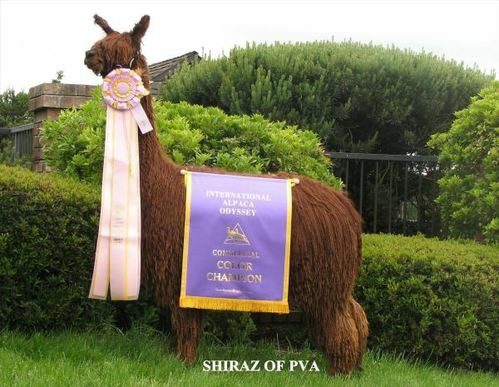 Chablis herself has produced a SUPREME CHAMPION, Wynn of PVA. 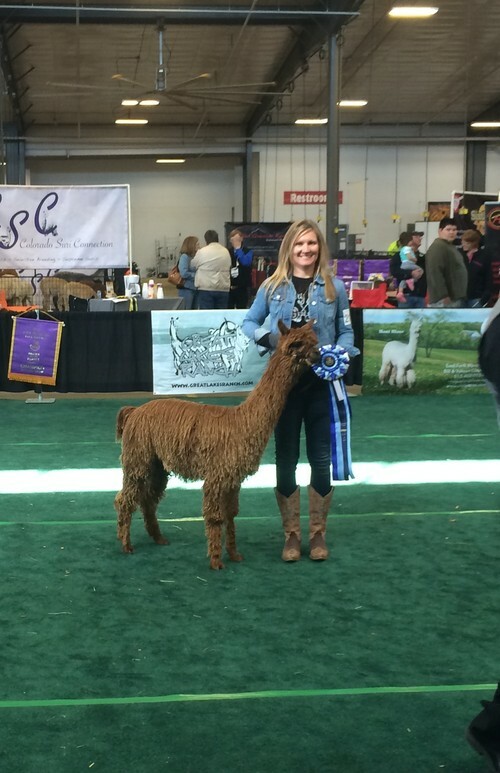 2010 Columbia Alpaca Breeder's Assoc.